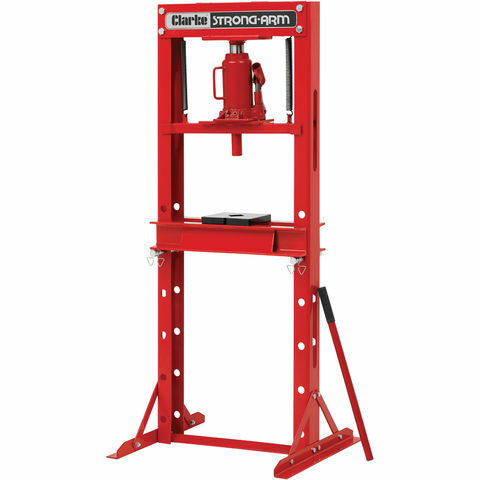 An essential tool for any garage or workshop, this bench press with 10 tonne capacity is ideal for the majority of small pressing jobs such as repairing small motors, armatures, removing and installing gears, bearings or other press fit parts. 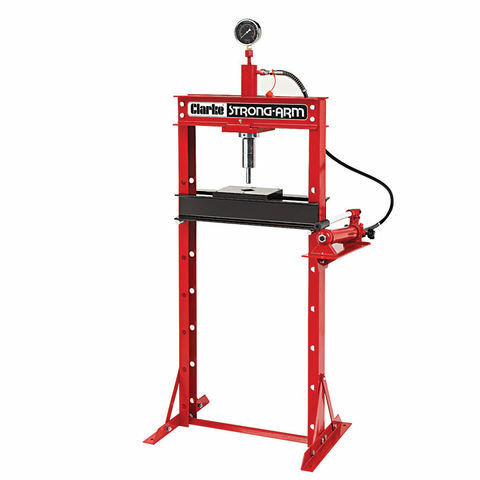 Supplied with a hydraulic pump, ram with pressure gauge and connecting hose, this press is simple to use and very effective, requiring minimum effort from the user to product fast, accurate presses time and again.Please note: This press is without the 7 Piece Adaptor Kit (Order Code: 020425060) and is sold separately. 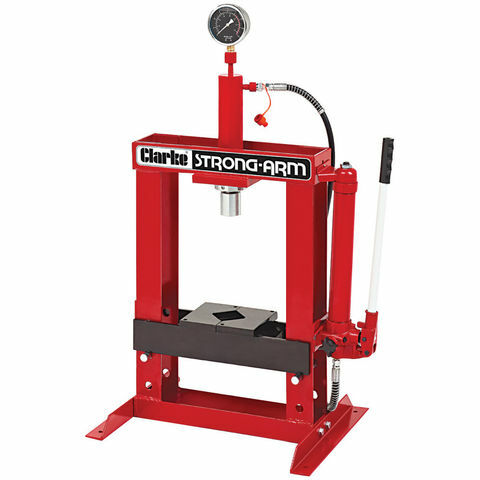 Perfect for most small pressing jobs, this bench press is ideal for use in automotive and industrial workshops. 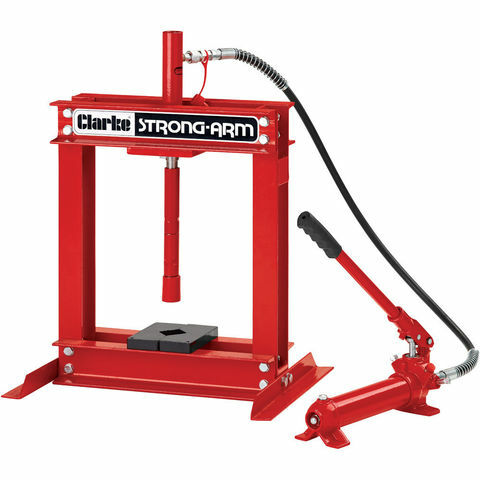 Supplied with a hydraulic pump and ram the, press is simple to use, producing repeatable accurate presses.